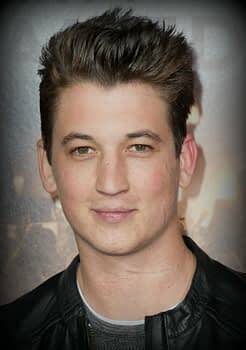 While he was still working out some scheduling issues back when the new Fantastic Four was unveiled, it appears Miles Teller has closed his deal to play Mr. Fantastic and now he’s more than happy to talk to press about his first superhero role. Well, for me I didn’t grow up really as a comic book kid necessarily. Fantastic Four is my dad’s favorite superhero comic. And so for me I guess what attracted me originally was Josh Trank,” said Teller of the reboot’s director. “I think Josh Trank is a very creative, inventive guy. You look at Chronicle, you look at what he did for that budget and just how he told the story was really well done. I want to chase directors at this point, and then the cast kind of came together — Michael B. (Jordan), Kate Mara, and Jamie Bell — I was very excited. I think a lot of times it just looks like Hollywood actors in Halloween costumes, you know? And I think what we’re going to do with Fantastic Four is going to be very grounded and it made sense to me. When I read the script, I didn’t feel like I was reading this larger-than-life, incredible supehero tale These are all very human people that end up having to become I guess what is known as the Fantastic Four. So for me it was just a really good story and gives me an opportunity to play something different from my own skin. It’s a proper character and that’s my favorite stuff to do. If you’ve seen Chronicle, you probably could have predicted this would be the route Trank would take. The new Fantastic Four comes out on June 19, 2015.